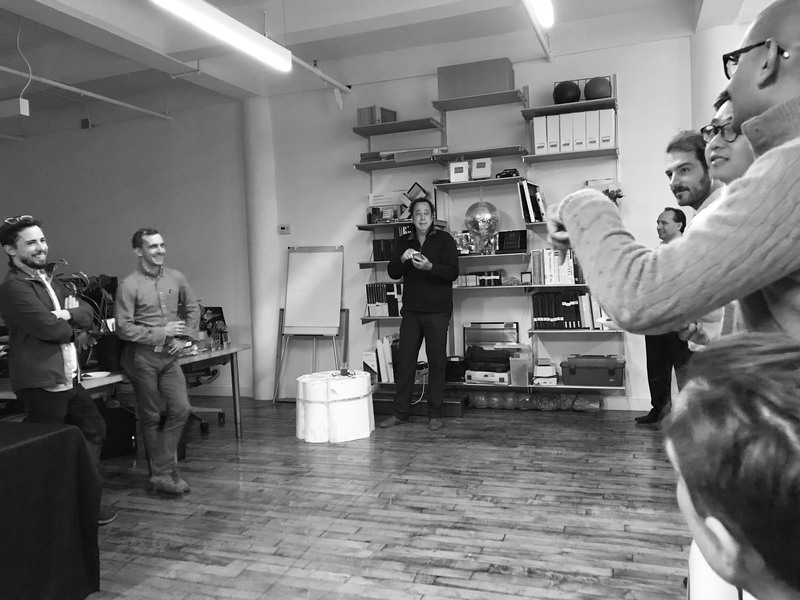 On Thursday, November 30th, we were thrilled to host our fourth Transsolar Lounge, welcoming friends and colleagues into our NYC office to meet and mingle, enjoy some appetizers – and most importantly get to know our featured guest of the evening, renowned photographer Richard Schulman. A portraitist and architectural photographer, Richard has been in the business for almost 40 years and is often referred to as one of the “top 10” artists within his field. He spoke about his career, gave some insight into his craft and answered many questions from the curious audience.